On the way to Curral das Freiras from Funchal is a popular spot for many visitors: The Eira do Serrado, an observation point, is high up in the craggy mountains at a whopping 3,200 feet in altitude. It's a bit of a walk, and there are some steps involved, so it's not immediately accessible and takes some work. But once at the Eira do Serrado, the view is absolutely breathtaking. From the mountain peaks to the isolated village in the valley below, it is a dreamscape that every hiker and experienced walker hopes to find at the end of the trail. 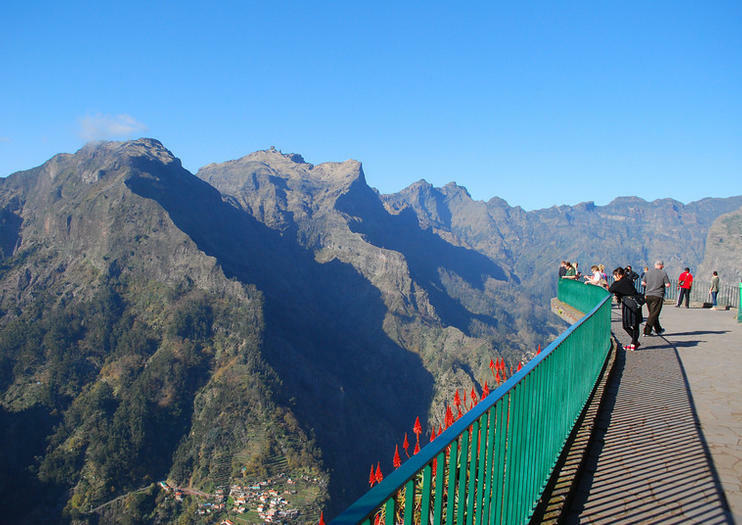 The large terrace, complete with safety railings, provides ample room for a panoramic view that is one of the highlights of any visit to Madeira. The Eira do Serrado is located approximately a half-hour north of Funchal, via highway ER107, either by car or bus line 81. Wear proper shoes, and bring water. The Estalagem Eira do Serrado is located close to the observation point, and offers dining with a view.